What is Server Load Balancer? Why am I unable to access the SLB instance? Why is the traffic between my ECS instances unevenly distributed? What can I do if health checks generate an excessive number of logs? What can I do if my ECS instance is declared unhealthy after I enable health checks for Server Load Balancer? 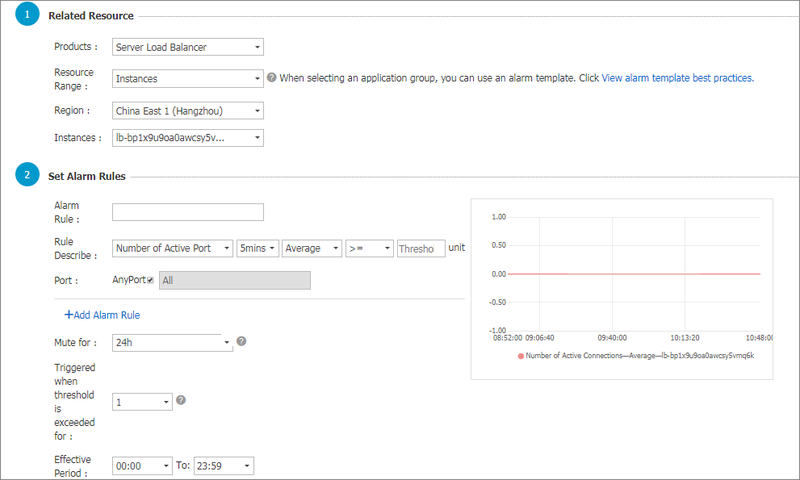 After activating the CloudMonitor service, you can configure alarm rules for SLB instances on the CloudMonitor console. If a listener or an SLB instance is deleted, its alarm settings are deleted correspondingly. Log on to the SLB console. Select a region, and then click the ID of the target SLB instance. Make sure the instance has configured with listeners and enabled health check. In the left-side navigation pane, click Monitor. Click Threshold Alarm Settings. You are then directed to CloudMonitor console.